This is a questions that we coaches get asked a lot! 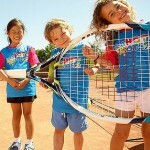 At what age can my child start tennis lessons? Learning in a fun environment: Fun is the most important aspect of being on the court. Kids need to feel comfortable in their environment and wanting to come back and learn more. 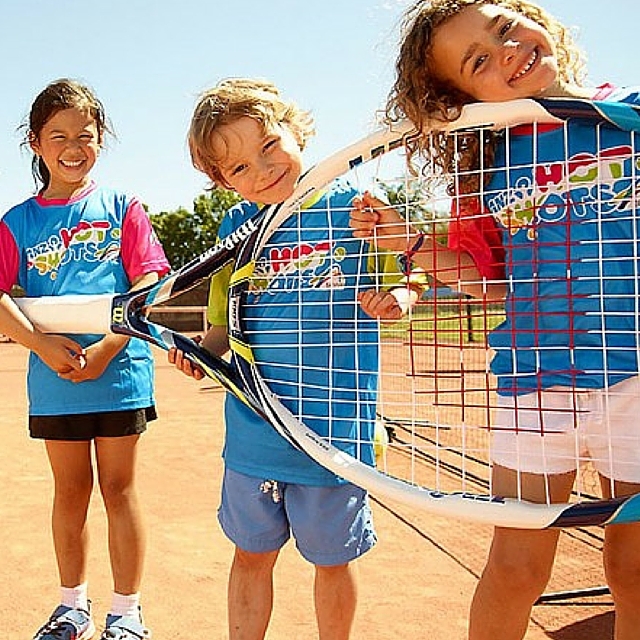 Socializing with other kids during physical activity: Group lessons average four kids per session which encourages the kids to socialize with other children who are interested in tennis. This also helps teach the kids listening, cooperation and other important life skills. Modified courts and equipment: Lessons are on a modified size court with a miniature net and soft hot shots tennis balls. This is less intimidating and encourages the kids to have a higher success rate. Incorporate all of the above while learning the first steps of tennis: Learning tennis is why you signed up! Incorporating the above and linking to tennis activities lets the child enjoy the basics of tennis at the same time.